I’ve started experimenting with different lighting tricks and what not in my videos. If you like the white background effect, I was able to make this using only $50 worth of supplies (on top of my camera of course). Stay tuned soon for a how-to video on how I pulled this off! As always, keep hitting things! white background looks fine by itself, but every other scene in the video is full of dark colours and black, not much of a smooth change. nor should you wear a hat over your eyes when the lights are above you. you wear a hat over your eyes when the lights are above you. Awesome snare!! !…t’anks for the tips yo. that’s a freakin deep low end bass drum tone and a (physically) deep snare as well bro! oh and nice video btw. i was hoping you would get to these really odd ones. nice work as always. really odd ones. nice work as always. @aaronedgardrum The white is good, but there is something on the left side as the video (as the viewer views it) which can be distracting. as the video (as the viewer views it) which can be distracting. your face is a bit to dark with the hat maybe reposition the lightsource? [..YouTube..] your face is a bit to dark with the hat maybe reposition the lightsource? @datommaster Honestly, I can’t even perceive them as strange any more. It’s to the point that they’re so second nature it’s no different to me than playing a pop gig. Also, new breed is AWESOME! Good luck with it, it’s a really great resource! @datommaster Honestly, I can’t even perceive them as strange any more. It’s to the point that they’re so second nature it’s no different to me than﻿ playing a pop gig. @datommaster Honestly, I can’t even perceive them as strange any more. It’s to the point that they’re so second nature﻿ it’s no different to me than playing a pop gig. Also, new breed is﻿ AWESOME! Good luck with it, it’s a really great resource! Also, new breed is AWESOME! Good luck with it,﻿ it’s a really great resource! @datommaster Honestly, I can’t even perceive them as strange any more. It’s to the point that they’re so second nature it’s﻿ no different to me than playing a pop gig. @datommaster Honestly, I can’t even perceive them as﻿ strange any more. It’s to the point that they’re so second nature it’s no different to me than playing a pop gig. Also, new breed is AWESOME! Good luck with it, it’s a really great﻿ resource! @datommaster Honestly, I can’t even perceive them as strange﻿ any more. It’s to the point that they’re so second nature it’s no different to me than playing a pop gig. @datommaster Honestly, I can’t even perceive them as strange any more. It’s to the point that they’re so second nature it’s no different to me than playing a﻿ pop gig. @datommaster Honestly, I can’t﻿ even perceive them as strange any more. It’s to the point that they’re so second nature it’s no different to me than playing a pop gig. @datommaster Honestly, I can’t even perceive them as strange any more. It’s to the point that they’re so second nature it’s no﻿ different to me than playing a pop gig. @datommaster Honestly, I can’t even﻿ perceive them as strange any more. It’s to the point that they’re so second nature it’s no different to me than playing a pop gig. Also, new breed is AWESOME! Good luck with it, it’s a really﻿ great resource! @datommaster Honestly, I can’t even perceive them as strange any more. It’s to the point﻿ that they’re so second nature it’s no different to me than playing a pop gig. @datommaster Honestly, I can’t even perceive them as strange any more. It’s to the point that﻿ they’re so second nature it’s no different to me than playing a pop gig. @datommaster Honestly, I can’t even perceive them as strange any more. It’s to the point that they’re so second nature it’s no different to﻿ me than playing a pop gig. Also, new breed﻿ is AWESOME! Good luck with it, it’s a really great resource! @datommaster Honestly, I can’t even perceive them as strange any more. It’s to the point that they’re so second nature it’s no different to me than playing a pop﻿ gig. @datommaster Honestly, I can’t even perceive﻿ them as strange any more. It’s to the point that they’re so second nature it’s no different to me than playing a pop gig. Also, new breed is AWESOME! Good luck﻿ with it, it’s a really great resource! @datommaster Honestly, I can’t even perceive them as strange any﻿ more. It’s to the point that they’re so second nature it’s no different to me than playing a pop gig. @datommaster Honestly, I can’t even perceive them as strange any more. It’s to the﻿ point that they’re so second nature it’s no different to me than playing a pop gig. @datommaster Honestly,﻿ I can’t even perceive them as strange any more. It’s to the point that they’re so second nature it’s no different to me than playing a pop gig. Also, new breed is AWESOME! Good﻿ luck with it, it’s a really great resource! @datommaster Honestly, I can’t even perceive them as strange any more. It’s to﻿ the point that they’re so second nature it’s no different to me than playing a pop gig. Also, new breed is AWESOME!﻿ Good luck with it, it’s a really great resource! @datommaster Honestly, I can’t even perceive them as strange any more. It’s to the point that they’re so second﻿ nature it’s no different to me than playing a pop gig. @datommaster Honestly, I can’t even perceive them as strange any more. It’s to the point that they’re so second nature it’s no different to me than playing﻿ a pop gig. Also, new breed is AWESOME! Good luck with it, it’s a﻿ really great resource! @datommaster Honestly, I can’t even perceive them﻿ as strange any more. It’s to the point that they’re so second nature it’s no different to me than playing a pop gig. @datommaster Honestly, I can’t even perceive them as strange any more. It’s﻿ to the point that they’re so second nature it’s no different to me than playing a pop gig. Also, new breed is AWESOME! Good luck with﻿ it, it’s a really great resource! [..YouTube..] @datommaster Honestly, I can’t even perceive them as strange any more. It’s to the point that they’re so second nature it’s no different to me than playing a pop gig. [..YouTube..] Honestly, I can’t even perceive them as strange any more. It’s to the point that they’re so second nature it’s no different to me than playing a pop gig. Honestly, I can’t even perceive them as strange any more. It’s to the point that they’re so second nature it’s no different to me than playing a pop gig. @br3ign Yeah man! Would you be surprised to find out the kick is only 18″? 😛 The snare is one of my favorites, a 14×8 SQ2 Maple Heavy. @br3ign Yeah man! Would you be surprised to find out the﻿ kick is only 18″? 😛 The snare is one of my favorites, a 14×8 SQ2 Maple Heavy. @br3ign Yeah man! Would you be surprised to find out the kick is only 18″? 😛 The snare is one of﻿ my favorites, a 14×8 SQ2 Maple Heavy. @br3ign Yeah man!﻿ Would you be surprised to find out the kick is only 18″? 😛 The snare is one of my favorites, a 14×8 SQ2 Maple Heavy. @br3ign Yeah man! Would you be surprised to find out the kick is only 18″? 😛 The﻿ snare is one of my favorites, a 14×8 SQ2 Maple Heavy. @br3ign Yeah man! Would you be surprised to find out the kick is only 18″? :P﻿ The snare is one of my favorites, a 14×8 SQ2 Maple Heavy. @br3ign Yeah man! Would you be surprised to find out the kick is only﻿ 18″? 😛 The snare is one of my favorites, a 14×8 SQ2 Maple Heavy. @br3ign Yeah man! Would you be surprised to find out the kick is only 18″?﻿ 😛 The snare is one of my favorites, a 14×8 SQ2 Maple Heavy. @br3ign Yeah man! Would you be surprised to find out the kick is only 18″? 😛 The snare is one of my favorites,﻿ a 14×8 SQ2 Maple Heavy. @br3ign Yeah man! Would you be surprised to find out the kick﻿ is only 18″? 😛 The snare is one of my favorites, a 14×8 SQ2 Maple Heavy. @br3ign Yeah man! Would you be surprised to find out the kick is only 18″? 😛 The snare is﻿ one of my favorites, a 14×8 SQ2 Maple Heavy. @br3ign Yeah man! Would you be surprised to find out the kick is only 18″? 😛 The snare is one of my favorites, a 14×8 SQ2 Maple﻿ Heavy. @br3ign Yeah man! Would you be surprised to find out the kick is only 18″? 😛 The snare﻿ is one of my favorites, a 14×8 SQ2 Maple Heavy. @br3ign Yeah man! Would you be surprised to find out the kick is only 18″? 😛 The snare is one of my favorites, a﻿ 14×8 SQ2 Maple Heavy. @br3ign Yeah man! Would you be surprised to find﻿ out the kick is only 18″? 😛 The snare is one of my favorites, a 14×8 SQ2 Maple Heavy. @br3ign Yeah man! Would you be﻿ surprised to find out the kick is only 18″? 😛 The snare is one of my favorites, a 14×8 SQ2 Maple Heavy. @br3ign Yeah man! Would you be surprised to find out the kick is only 18″? 😛 The snare is one of my﻿ favorites, a 14×8 SQ2 Maple Heavy. @br3ign﻿ Yeah man! Would you be surprised to find out the kick is only 18″? 😛 The snare is one of my favorites, a 14×8 SQ2 Maple Heavy. [..YouTube..] @br3ign Yeah man! Would you be surprised to find out the kick is only 18″? 😛 The snare is one of my favorites, a 14×8 SQ2 Maple Heavy. [..YouTube..] Yeah man! Would you be surprised to find out the kick is only 18″? 😛 The snare is one of my favorites, a 14×8 SQ2 Maple Heavy. Yeah man! Would you be surprised to find out the kick is only 18″? 😛 The snare is one of my favorites, a 14×8 SQ2 Maple Heavy. @br3ign Awesome! Lemme know how that goes. I’d love to see a video response! I’m just on my way out of town with a dub step band, my sequel with the drum set applications will be done when I get home. @br3ign Awesome! Lemme know how that goes. I’d love to see a video response! I’m just on my way out of town with a dub step band, my sequel with the drum﻿ set applications will be done when I get home. @br3ign Awesome! Lemme know how that goes. I’d love to see a video response! I’m just on my way out of town with a dub step band, my sequel with the drum set﻿ applications will be done when I get home. @br3ign Awesome! Lemme know how that goes. I’d love to see a video response! I’m just on my way out of town with a dub step band,﻿ my sequel with the drum set applications will be done when I get home. @br3ign Awesome! Lemme know how that goes. I’d love to see a video response! I’m just﻿ on my way out of town with a dub step band, my sequel with the drum set applications will be done when I get home. @br3ign Awesome! Lemme know how that goes. I’d love to see a video response! I’m just on my﻿ way out of town with a dub step band, my sequel with the drum set applications will be done when I get home. @br3ign Awesome! Lemme know how that goes. I’d love to see a video response! I’m just on my way out of town with a dub step band, my sequel﻿ with the drum set applications will be done when I get home. @br3ign Awesome! Lemme know how that goes. I’d love to see a video response! I’m just on my way out of town with a dub step band, my sequel with the drum set applications﻿ will be done when I get home. @br3ign Awesome! Lemme know how that goes. I’d love to see﻿ a video response! I’m just on my way out of town with a dub step band, my sequel with the drum set applications will be done when I get home. @br3ign Awesome! Lemme know how that goes.﻿ I’d love to see a video response! I’m just on my way out of town with a dub step band, my sequel with the drum set applications will be done when I get home. @br3ign﻿ Awesome! Lemme know how that goes. I’d love to see a video response! I’m just on my way out of town with a dub step band, my sequel with the drum set applications will be done when I get home. @br3ign Awesome! Lemme know how that goes. I’d love to see a video response! I’m just on my way out of town with a dub step band, my sequel with the drum set applications will﻿ be done when I get home. @br3ign Awesome! Lemme know how that goes. I’d love to see a video response! I’m just on my way out﻿ of town with a dub step band, my sequel with the drum set applications will be done when I get home. @br3ign Awesome! Lemme know how that goes. I’d﻿ love to see a video response! I’m just on my way out of town with a dub step band, my sequel with the drum set applications will be done when I get home. @br3ign Awesome! Lemme know how that goes. I’d love to see a video response! I’m just on my way out of town with a dub﻿ step band, my sequel with the drum set applications will be done when I get home. @br3ign Awesome! Lemme﻿ know how that goes. I’d love to see a video response! I’m just on my way out of town with a dub step band, my sequel with the drum set applications will be done when I get home. @br3ign Awesome! Lemme know how that goes. I’d love﻿ to see a video response! I’m just on my way out of town with a dub step band, my sequel with the drum set applications will be done when I get home. @br3ign Awesome! Lemme know how﻿ that goes. I’d love to see a video response! I’m just on my way out of town with a dub step band, my sequel with the drum set applications will be done when I get home. @br3ign Awesome! Lemme know how that goes. I’d love to see a video﻿ response! I’m just on my way out of town with a dub step band, my sequel with the drum set applications will be done when I get home. @br3ign Awesome! Lemme know how that goes. I’d love to see a video response!﻿ I’m just on my way out of town with a dub step band, my sequel with the drum set applications will be done when I get home. @br3ign Awesome! Lemme know how that goes. I’d love to see a video response! I’m just on my way out of﻿ town with a dub step band, my sequel with the drum set applications will be done when I get home. @br3ign Awesome! Lemme know how that goes. I’d love to see a video response! I’m just on my way out of town with a dub step band, my sequel with the drum set applications will be done when I get﻿ home. @br3ign Awesome! Lemme know how that﻿ goes. I’d love to see a video response! I’m just on my way out of town with a dub step band, my sequel with the drum set applications will be done when I get home. @br3ign Awesome! Lemme know how that goes. I’d love to see a video response! I’m just on my way﻿ out of town with a dub step band, my sequel with the drum set applications will be done when I get home. @br3ign Awesome! Lemme know how that goes. I’d love to see a video response! I’m just on my way out of town with﻿ a dub step band, my sequel with the drum set applications will be done when I get home. @br3ign Awesome! Lemme know how that goes. I’d love to see a﻿ video response! I’m just on my way out of town with a dub step band, my sequel with the drum set applications will be done when I get home. @br3ign Awesome! Lemme know how that goes. I’d love to﻿ see a video response! I’m just on my way out of town with a dub step band, my sequel with the drum set applications will be done when I get home. @br3ign Awesome! Lemme know how that goes. I’d love to see a video response! I’m just on﻿ my way out of town with a dub step band, my sequel with the drum set applications will be done when I get home. @br3ign Awesome! Lemme know how that goes. I’d love to see a video response! I’m just on my way out of town with a dub step band, my sequel with the drum set applications will be done when I﻿ get home. @br3ign Awesome! Lemme know how that goes. I’d love to see a video response! I’m just on my way out of town with a dub step band, my sequel with the drum set applications will be﻿ done when I get home. @br3ign Awesome! Lemme know how that goes. I’d love to see a video response! I’m just on my way out of town with a dub step band, my sequel with the drum set applications will be done﻿ when I get home. @br3ign Awesome! Lemme know how that goes. I’d love to see a video response! I’m just on my way out of town with a dub step band, my sequel with the drum set applications will be done when﻿ I get home. @br3ign Awesome! Lemme know how that goes. I’d love to see a video response! I’m just on my way out of town﻿ with a dub step band, my sequel with the drum set applications will be done when I get home. @br3ign Awesome!﻿ Lemme know how that goes. I’d love to see a video response! I’m just on my way out of town with a dub step band, my sequel with the drum set applications will be done when I get home. @br3ign Awesome! Lemme know how that goes. I’d love to see a video response! I’m just on my way out of town with a﻿ dub step band, my sequel with the drum set applications will be done when I get home. @br3ign Awesome! Lemme know﻿ how that goes. I’d love to see a video response! I’m just on my way out of town with a dub step band, my sequel with the drum set applications will be done when I get home. @br3ign Awesome! Lemme know how that goes. I’d love to see a video response! I’m just on my way out of town with a dub step band, my﻿ sequel with the drum set applications will be done when I get home. [..YouTube..] @br3ign Awesome! Lemme know how that goes. I’d love to see a video response! I’m just on my way out of town with a dub step band, my sequel with the drum set applications will be done when I get home. @TheHopelessDrummer This stuff is still a little bit over my head 😉 This is the kind of thing I’m working on in my practice session! @TheHopelessDrummer This stuff is still a little bit﻿ over my head 😉 This is the kind of thing I’m working on in my practice session! @TheHopelessDrummer This stuff is still a little bit over my head 😉 This is the﻿ kind of thing I’m working on in my practice session! @TheHopelessDrummer This﻿ stuff is still a little bit over my head 😉 This is the kind of thing I’m working on in my practice session! @TheHopelessDrummer This stuff is still a little bit over﻿ my head 😉 This is the kind of thing I’m working on in my practice session! @TheHopelessDrummer This stuff is still﻿ a little bit over my head 😉 This is the kind of thing I’m working on in my practice session! @TheHopelessDrummer﻿ This stuff is still a little bit over my head 😉 This is the kind of thing I’m working on in my practice session! @TheHopelessDrummer This stuff is still a﻿ little bit over my head 😉 This is the kind of thing I’m working on in my practice session! @TheHopelessDrummer This stuff is still a little﻿ bit over my head 😉 This is the kind of thing I’m working on in my practice session! @TheHopelessDrummer This stuff is﻿ still a little bit over my head 😉 This is the kind of thing I’m working on in my practice session! @TheHopelessDrummer This stuff is still a little bit over my head 😉 This is the kind of thing I’m working on in my practice﻿ session! @TheHopelessDrummer This stuff is still a little bit over my head 😉 This is the kind of thing I’m working on in my﻿ practice session! @TheHopelessDrummer This stuff is still a little bit over my head 😉 This is the kind of thing I’m working on in﻿ my practice session! @TheHopelessDrummer This stuff is still a little bit over my﻿ head 😉 This is the kind of thing I’m working on in my practice session! @TheHopelessDrummer This stuff﻿ is still a little bit over my head 😉 This is the kind of thing I’m working on in my practice session! @TheHopelessDrummer This stuff is still a little bit over my head 😉 This﻿ is the kind of thing I’m working on in my practice session! @TheHopelessDrummer This stuff is still a little bit over my head 😉 This is the kind of thing I’m working on﻿ in my practice session! @TheHopelessDrummer This stuff is still a little bit over my head 😉 This is the kind of thing I’m working﻿ on in my practice session! @TheHopelessDrummer This stuff is still a little bit over my head ;)﻿ This is the kind of thing I’m working on in my practice session! @TheHopelessDrummer This stuff is still a little bit over my head﻿ 😉 This is the kind of thing I’m working on in my practice session! @TheHopelessDrummer This stuff is still a little bit over my head 😉 This is the kind﻿ of thing I’m working on in my practice session! @TheHopelessDrummer This stuff is still a little bit over my head 😉 This is the kind of thing﻿ I’m working on in my practice session! @TheHopelessDrummer This stuff is still a little bit over my head 😉 This is the kind of﻿ thing I’m working on in my practice session! @TheHopelessDrummer This stuff is still a little bit over my head 😉 This is﻿ the kind of thing I’m working on in my practice session! @TheHopelessDrummer This stuff is still a little bit over my head 😉 This is the kind of thing I’m﻿ working on in my practice session! [..YouTube..] @TheHopelessDrummer This stuff is still a little bit over my head 😉 This is the kind of thing I’m working on in my practice session! [..YouTube..] This stuff is still a little bit over my head 😉 This is the kind of thing I’m working on in my practice session! This stuff is still a little bit over my head 😉 This is the kind of thing I’m working on in my practice session! @LukeSnyderMusic well, I’ll be waiting on your progress haha Cheers man!!! @LukeSnyderMusic well, I’ll be waiting﻿ on your progress haha Cheers man!!! @LukeSnyderMusic well, I’ll be waiting on your progress haha Cheers﻿ man!!! @LukeSnyderMusic well,﻿ I’ll be waiting on your progress haha Cheers man!!! @LukeSnyderMusic well, I’ll﻿ be waiting on your progress haha Cheers man!!! @LukeSnyderMusic well, I’ll be waiting on your progress﻿ haha Cheers man!!! @LukeSnyderMusic well, I’ll be waiting on your progress haha﻿ Cheers man!!! @LukeSnyderMusic well, I’ll be﻿ waiting on your progress haha Cheers man!!! @LukeSnyderMusic well, I’ll be waiting on﻿ your progress haha Cheers man!!! @LukeSnyderMusic﻿ well, I’ll be waiting on your progress haha Cheers man!!! @LukeSnyderMusic well, I’ll be waiting on your﻿ progress haha Cheers man!!! [..YouTube..] @LukeSnyderMusic well, I’ll be waiting on your progress haha Cheers man!!! [..YouTube..] well, I’ll be waiting on your progress haha Cheers man!!! well, I’ll be waiting on your progress haha Cheers man!!! That bass drum sounds absolutely huge through my speakers, really nice! That bass drum﻿ sounds absolutely huge through my speakers, really nice! That bass drum sounds absolutely﻿ huge through my speakers, really nice! That bass drum sounds absolutely huge through my﻿ speakers, really nice! That bass drum sounds absolutely huge through﻿ my speakers, really nice! That bass drum sounds absolutely huge through my speakers, really﻿ nice! That bass drum sounds﻿ absolutely huge through my speakers, really nice! That﻿ bass drum sounds absolutely huge through my speakers, really nice! That bass drum sounds absolutely huge through my speakers,﻿ really nice! That bass﻿ drum sounds absolutely huge through my speakers, really nice! That bass drum sounds absolutely huge﻿ through my speakers, really nice! [..YouTube..] That bass drum sounds absolutely huge through my speakers, really nice! huh? i thought you said the last number (in 6 over 7 that would be 7) indicated the note value, like groups of 6 over septuplets, but i guess it’s the other way around…? huh? i thought you said the last number (in 6 over 7 that would be 7) indicated the note value, like groups of 6 over septuplets, but i guess it’s the other way﻿ around…? huh? i thought you said the last number (in 6 over 7 that would be 7) indicated the note value, like groups of 6﻿ over septuplets, but i guess it’s the other way around…? huh? i thought you said the last number (in 6 over 7 that would be 7) indicated the note value, like groups of 6 over septuplets, but i﻿ guess it’s the other way around…? huh? i thought you said the last number (in 6 over 7﻿ that would be 7) indicated the note value, like groups of 6 over septuplets, but i guess it’s the other way around…? huh? i thought you said the last number (in 6 over 7 that would be 7) indicated the note value, like groups of 6 over septuplets, but i guess﻿ it’s the other way around…? huh? i thought you said the last number (in 6 over 7 that would be 7) indicated the note value, like groups of﻿ 6 over septuplets, but i guess it’s the other way around…? huh? i﻿ thought you said the last number (in 6 over 7 that would be 7) indicated the note value, like groups of 6 over septuplets, but i guess it’s the other way around…? huh? i thought you said the last number (in 6 over 7 that would be 7) indicated the note value, like groups of 6 over septuplets,﻿ but i guess it’s the other way around…? huh? i thought you said the last number (in 6 over﻿ 7 that would be 7) indicated the note value, like groups of 6 over septuplets, but i guess it’s the other way around…? huh? i thought you said the last number (in 6 over 7 that would﻿ be 7) indicated the note value, like groups of 6 over septuplets, but i guess it’s the other way around…? huh? i thought you said the last number﻿ (in 6 over 7 that would be 7) indicated the note value, like groups of 6 over septuplets, but i guess it’s the other way around…? huh? i thought you said the﻿ last number (in 6 over 7 that would be 7) indicated the note value, like groups of 6 over septuplets, but i guess it’s the other way around…? huh? i thought you said the last number (in 6 over 7 that would be 7) indicated the note value, like﻿ groups of 6 over septuplets, but i guess it’s the other way around…? huh? i thought you said﻿ the last number (in 6 over 7 that would be 7) indicated the note value, like groups of 6 over septuplets, but i guess it’s the other way around…? huh? i thought you said the last number (in 6 over 7 that would be 7) indicated the note value, like groups of 6 over septuplets, but i guess it’s﻿ the other way around…? huh? i thought you said the last number (in 6 over 7 that would be 7) indicated the note value, like groups of 6 over septuplets, but﻿ i guess it’s the other way around…? huh? i thought you said the last﻿ number (in 6 over 7 that would be 7) indicated the note value, like groups of 6 over septuplets, but i guess it’s the other way around…? huh? i thought you said the last number (in 6 over 7 that would be 7)﻿ indicated the note value, like groups of 6 over septuplets, but i guess it’s the other way around…? huh? i thought you said the last number (in 6 over 7 that would be 7) indicated the note value, like groups of 6 over septuplets, but i guess it’s the other﻿ way around…? huh? i thought you said the last number (in 6 over 7 that would be﻿ 7) indicated the note value, like groups of 6 over septuplets, but i guess it’s the other way around…? huh? i thought you said the last number (in 6 over 7 that would be 7) indicated the note value, like groups of 6 over septuplets, but i guess it’s the﻿ other way around…? huh? i thought you said the last number (in 6 over 7 that﻿ would be 7) indicated the note value, like groups of 6 over septuplets, but i guess it’s the other way around…? huh? i thought﻿ you said the last number (in 6 over 7 that would be 7) indicated the note value, like groups of 6 over septuplets, but i guess it’s the other way around…? huh? i thought you said the last number (in 6 over 7 that would be 7) indicated the﻿ note value, like groups of 6 over septuplets, but i guess it’s the other way around…? huh? i thought you said the last number (in 6 over 7 that would be 7) indicated﻿ the note value, like groups of 6 over septuplets, but i guess it’s the other way around…? huh?﻿ i thought you said the last number (in 6 over 7 that would be 7) indicated the note value, like groups of 6 over septuplets, but i guess it’s the other way around…? huh? i thought you said the last number (in 6 over 7 that would be 7) indicated the note value,﻿ like groups of 6 over septuplets, but i guess it’s the other way around…? huh? i thought you﻿ said the last number (in 6 over 7 that would be 7) indicated the note value, like groups of 6 over septuplets, but i guess it’s the other way around…? [..YouTube..] huh? i thought you said the last number (in 6 over 7 that would be 7) indicated the note value, like groups of 6 over septuplets, but i guess it’s the other way around…? @aaronedgardrum i watched every one of you video’s allready man 🙂 i guess i just interpreted it wrong…. so just to be sure…. playing groups of 3 in sixteenth notes is 4 over 3? so just to be sure…. playing groups of 3 in sixteenth notes is﻿ 4 over 3? @aaronedgardrum i watched every one of you video’s allready man 🙂 i﻿ guess i just interpreted it wrong…. 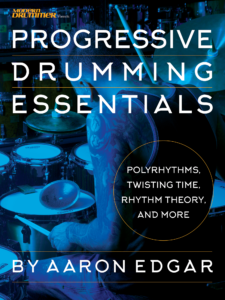 @aaronedgardrum i watched every one of you video’s allready man :)﻿ i guess i just interpreted it wrong…. @aaronedgardrum i watched every one of﻿ you video’s allready man 🙂 i guess i just interpreted it wrong…. so just to be sure…. playing groups of 3 in sixteenth﻿ notes is 4 over 3? @aaronedgardrum i watched every one of you video’s allready man 🙂 i guess i just﻿ interpreted it wrong…. so just to be sure…. playing groups of 3 in sixteenth notes﻿ is 4 over 3? so just to be sure…. playing groups of 3 in sixteenth notes is 4 over﻿ 3? @aaronedgardrum i watched every﻿ one of you video’s allready man 🙂 i guess i just interpreted it wrong…. @aaronedgardrum i﻿ watched every one of you video’s allready man 🙂 i guess i just interpreted it wrong…. so just to be﻿ sure…. playing groups of 3 in sixteenth notes is 4 over 3? @aaronedgardrum i watched every one of you video’s allready man 🙂 i guess i﻿ just interpreted it wrong…. so just to be sure…. playing groups of 3 in﻿ sixteenth notes is 4 over 3? @aaronedgardrum i watched every one of you﻿ video’s allready man 🙂 i guess i just interpreted it wrong…. @aaronedgardrum i watched every one of you video’s allready man﻿ 🙂 i guess i just interpreted it wrong…. so just to be sure…. playing groups﻿ of 3 in sixteenth notes is 4 over 3? @aaronedgardrum i watched every one of you video’s allready man 🙂 i guess﻿ i just interpreted it wrong…. so just﻿ to be sure…. playing groups of 3 in sixteenth notes is 4 over 3? so just to be sure…. playing groups of 3﻿ in sixteenth notes is 4 over 3? @aaronedgardrum i watched every one of you video’s allready﻿ man 🙂 i guess i just interpreted it wrong…. @aaronedgardrum i watched every one﻿ of you video’s allready man 🙂 i guess i just interpreted it wrong…. @aaronedgardrum i watched﻿ every one of you video’s allready man 🙂 i guess i just interpreted it wrong…. @aaronedgardrum i watched every one of you video’s﻿ allready man 🙂 i guess i just interpreted it wrong…. so just to be sure…. playing﻿ groups of 3 in sixteenth notes is 4 over 3? @aaronedgardrum i watched every one of you video’s allready man 🙂 i guess i just interpreted﻿ it wrong…. so just to be sure…. playing groups of 3 in sixteenth notes is 4﻿ over 3? so just to be sure…. playing groups of﻿ 3 in sixteenth notes is 4 over 3? @aaronedgardrum i watched every one of you video’s allready man 🙂 i guess i just interpreted it﻿ wrong…. @aaronedgardrum﻿ i watched every one of you video’s allready man 🙂 i guess i just interpreted it wrong…. so just to be sure….﻿ playing groups of 3 in sixteenth notes is 4 over 3? so﻿ just to be sure…. playing groups of 3 in sixteenth notes is 4 over 3? [..YouTube..] @aaronedgardrum i watched every one of you video’s allready man 🙂 i guess i just interpreted it wrong…. [..YouTube..] i watched every one of you video’s allready man 🙂 i guess i just interpreted it wrong…. i watched every one of you video’s allready man 🙂 i guess i just interpreted it wrong…. What a beautiful snare drum! 🙂 Thanks for your lessons, interesting and well explained stuff! What a beautiful﻿ snare drum! 🙂 Thanks for your lessons, interesting and well explained stuff! What a beautiful snare drum! 🙂 Thanks for your lessons,﻿ interesting and well explained stuff! What a beautiful snare drum! 🙂 Thanks﻿ for your lessons, interesting and well explained stuff! What﻿ a beautiful snare drum! 🙂 Thanks for your lessons, interesting and well explained stuff! What a beautiful snare drum! 🙂 Thanks for your lessons, interesting and﻿ well explained stuff! What a beautiful snare drum! 🙂 Thanks for your lessons, interesting and well explained﻿ stuff! What a beautiful snare drum! :)﻿ Thanks for your lessons, interesting and well explained stuff! What a beautiful snare drum! 🙂 Thanks for your lessons, interesting﻿ and well explained stuff! What a beautiful snare﻿ drum! 🙂 Thanks for your lessons, interesting and well explained stuff! What a beautiful snare drum! 🙂 Thanks for your﻿ lessons, interesting and well explained stuff! What a beautiful snare drum! 🙂 Thanks for﻿ your lessons, interesting and well explained stuff! What a beautiful snare drum! 🙂 Thanks for your lessons, interesting and well﻿ explained stuff! What a﻿ beautiful snare drum! 🙂 Thanks for your lessons, interesting and well explained stuff! What a beautiful snare drum!﻿ 🙂 Thanks for your lessons, interesting and well explained stuff! [..YouTube..] What a beautiful snare drum! 🙂 Thanks for your lessons, interesting and well explained stuff!